A gentle and soothing cleanser that cleanses the reactive and redness-prone skin. Created for particularly delicate complexions, this ultra cooling glide-on gel provides instant calm, with an "icy effect" to reduce redness. 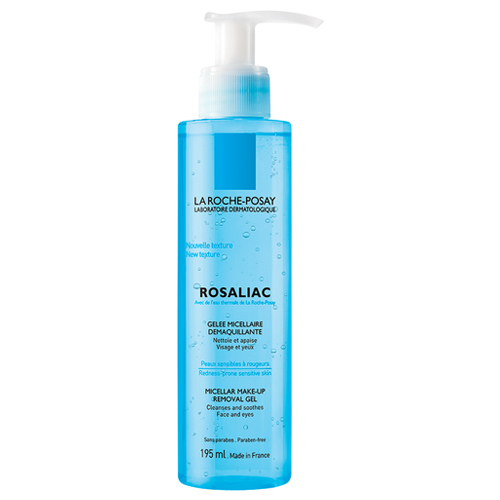 The micellar structure dissolves traces of make-up easily without the need for rubbing, while a rich infusion of La Roche-Posay Thermal Spring Water intensely soothes. • Pat the gel over the entire face with fingertips or a cotton pad. Rinse clean. • After use, skin feels fresh, calmed and clean, and looks radiant. Its comfort is restored once more.